In Philadelphia, like in any big city, human beings share close quarters with dogs. That’s wonderful when the dog is well behaved and well trained, but not every Philadelphia dog owner is responsible. When large dogs are left untrained and uncontrolled, they can revert to their natural predatory instincts, sometimes with tragic results. Each year, it is estimated that 4.5 million people are bitten by dogs and 20% of those bites require medical attention. Dog bite injuries have killed people, especially children. They can also leave victims with massive skin damage, broken bones, blood loss, damage to organs and sometimes serious infections. If you have suffered from these injuries, a qualified Philadelphia dog bite attorney at Rosenbaum & Associates knows how to help you get the compensation you deserve. Why Should I Hire Rosenbaum & Associates for My Dog Bite Claim? Attorney Jeff Rosenbaum has more than 25 years of experience handling all types of personal injury claims for clients in the Philadelphia area. His brother, David Rosenbaum, handles the litigation department and has more than 20 years of experience practicing law in Philadelphia. Compassionate, comprehensive representation. The legal team at Rosenbaum & Associates understands how devastating a dog bite can be and the effects such an attack can have on the victim’s life. The Rosenbaum & Associates legal team gets to know every client on a personal level and learns all of the ways an injury has affected his or her life to provide the best, most complete representation possible. Familiarity with Pennsylvania laws. The Rosenbaum brothers both grew up in Pennsylvania in the Philadelphia area and have extensive experience working with the court systems of Philadelphia. Our attorneys know the judges likely to review our cases and what clients can expect from those judges. Connections and resources. Many cases require expert witness testimony or input from other specialists with experience in niche areas of law and medicine. Our attorneys have built strong connections with expert witnesses in the Philadelphia area and throughout the country to help provide our clients with the best chances of recovery for their dog bite injury claims. Thousands of successful past cases. Rosenbaum & Associates have succeeded in thousands of civil claims in Philadelphia over the past few decades. We know how to maximize our clients’ recovery after suffering injuries and economic losses from negligence and put that experience to work in every case. A dog bite lawsuit may appear straightforward at first, but these legal matters can quickly escalate into complicated litigation battles that can take months or even years to resolve. Hiring the right Philadelphia dog bite attorney can make a tremendous difference in the outcome of a dog bite injury case, and the legal team at Rosenbaum & Associates is here to help anyone in this situation. Call (215) 569-0200 today to schedule a free consultation. The damages available to a plaintiff in a dog bite lawsuit are generally the same available in other personal injury claims. First, the plaintiff can receive economic damages for the direct financial impact of an injury. For example, the plaintiff in a dog bite case can claim compensation for his or her medical expenses resulting from the accident. This can include immediate costs like hospital bills as well as long-term medical costs for physical therapy and other types of rehabilitation. Other economic damages available in a dog bite injury lawsuit can include lost wages if the plaintiff had to miss work to recover from the attack. If the attack also damaged or destroyed any of the plaintiff’s personal belongings, such as an expensive watch, designer handbag, or smartphone, the plaintiff can claim the costs of replacing or repairing these items as economic damages in a personal injury case. Plaintiffs can also receive non-economic damages for things like physical pain, emotional distress, and mental anguish after a dog attack. The jury reviewing the lawsuit will assess the plaintiff’s claimed damages and consider expert witness testimony to determine an acceptable amount of compensation for pain and suffering. Some courts may multiply the plaintiff’s medical expenses by a certain amount, usually two to five, and award a lump sum as pain and suffering compensation. Others may use a “per diem” system that awards a set amount of compensation for every day the victim spends in recovery until he or she reaches maximum medical improvement. For more information regarding the damages available in your specific case, speak with a dog bite lawyer in Philadelphia. If a dog attack victim wishes to take legal action for his or her injury, he or she must meet the state’s statute of limitations. This time limit for filing personal injury claims starts on the date of the injury and lasts two years. The plaintiff must file a formal complaint within that time limit or risk losing the right to recovery. Some factors may “toll” or delay the statute of limitations. For example, if the victim of a dog attack was a minor, they cannot take legal action on their own behalf. In this case the statute of limitations would likely begin on the victim’s 18th birthday. If the party accused of causing the victim’s damages flees the state, attempts to hide under an assumed identity, or commits fraud to conceal his or her liability, these factors may also toll the statute of limitations. Every state has unique laws for handling dog bite claims. Pennsylvania follows a “one bite” rule. This means that if a dog owner knows or reasonably should have known that his or her dog was potentially dangerous due to a previous attack, the dog’s owner has a responsibility to prevent injuries to others. This means keeping the dog on a secure leash in public and secured at the dog owner’s residence while at home. Under Pennsylvania’s One Bite Rule, the dog’s owner is liable for a victim’s medical expenses resulting from the first biting incident. If a dog’s first bite causes a severe injury such as a bone fracture, severe laceration, or disfigurement, the victim has the right to pursue full recovery. However, a dog owner may use several defense tactics to avoid liability. The most common defenses available to dog owners include trespassing and provocation. A dog owner does not have a responsibility to protect trespassers, burglars, or other illegal interlopers on private property from dog bite injuries. If a thief breaks into a home and the homeowner’s dog attacks the thief, the thief would not have grounds for a lawsuit against the dog owner. Similarly, a person who provokes a dog into attacking by threatening the dog or the dog’s owner would not have grounds for a lawsuit. It’s also vital for dog owners to take into account Pennsylvania’s “dangerous dog” laws. If a dog owner keeps a dog known to have a history of unprovoked attacks or a dog used in the commission of a crime, the owner must take appropriate steps to avoid liability for a misdemeanor offense of harboring a dangerous dog. The owner must muzzle the dog in public, keep it secured at home so it cannot escape, post sufficient warning signs around the property, and carry at least $50,000 in liability insurance for any personal injuries the dog may cause. If you have additional questions regarding the dog bite laws in Pennsylvania, consult a skilled Philadelphia dog bite attorney. A bite is only one possible injury that can result from a dog attack. Dogs can also cause severe cuts and scratches from their claws, and a large dog may knock a person to the ground, potentially causing broken bones, traumatic brain injuries, facial injuries, and internal organ damage. Bites alone are also very serious. A dog’s bite may not fully penetrate the skin, but the strength of the dog’s jaws can lead to severe puncture wounds, crushing injuries, nerve damage, and blood loss. Some dogs that bite aggressively will shake their heads violently as a reflex; this is what a hunting dog would do to prey to immobilize it once the dog has its teeth on the animal. When a dog bites a person and thrashes, the skin around the bite can tear, causing severe bleeding, soft tissue damage, and ruptured muscle tissue. Some dogs carry infectious diseases which can cause severe illness and long-term medical complications for victims. A dog attack can be psychologically damaging as well. A person who experiences a severe dog attack may experience nightmares, flashbacks, and symptoms of post-traumatic stress disorder after such an incident. If the dog’s owner was negligent in his or her care or handling of the dog, the owner faces significant liability for the victim’s civil damages. Dogs have a natural social hierarchy. If they aren’t trained or controlled, they may try to dominate human beings or attack people who enter their homes. Children are especially vulnerable to dog attacks because they’re closer to the ground, loud, fast, and unaware of the danger. Pennsylvania dog owners are legally liable for injuries their dogs cause while illegally running loose, but they may also be liable for dog bite injuries to people who are lawfully visiting their homes. An attorney can help clients sort out how the law applies in their cases. Most people injured by a dangerous dog were attacked at the home of a friend or relative and may be reluctant to hire a Philadelphia dog bite injury lawyer. In fact, homeowners’ insurance covers these claims, so there’s no need to worry that you’re suing someone who cannot afford to pay. A legal claim ensures that victims get the medical care they need, including future follow-up care, as well as fair compensation for their injuries. It’s important to act quickly after a dog bite injury to protect yourself and improve your chances of success with a future lawsuit. Seek medical treatment immediately to prevent diseases and long-term medical complications. Delaying treatment will also reflect poorly upon you in a future insurance claim or lawsuit, so a victim should not delay seeing a doctor after any dog-related injury. After handling your immediate medical concerns, finding the right Philadelphia dog bite attorney to handle your case is the best next step. The right lawyer can help you determine whether you have grounds for a lawsuit against a negligent dog owner, your odds of success with your lawsuit, and the types of compensation you might expect if you win your case. The legal team at Rosenbaum & Associates has extensive experience with all types of personal injury claims in the Philadelphia area. We offer contingency fee billing to our clients to ensure we provide the best representation possible. Our clients do not pay us expenses or legal fees until we win their cases. Some clients may even be able to claim their legal fees as damages, making legal representation essentially free. While the average person may assume that a dog bite lawsuit is open-and-shut and that he or she could save money on attorneys’ fees by handling claims on their own, hiring an attorney not only offers a better chance of success with a lawsuit but typically leads to more compensation than a plaintiff could secure alone. 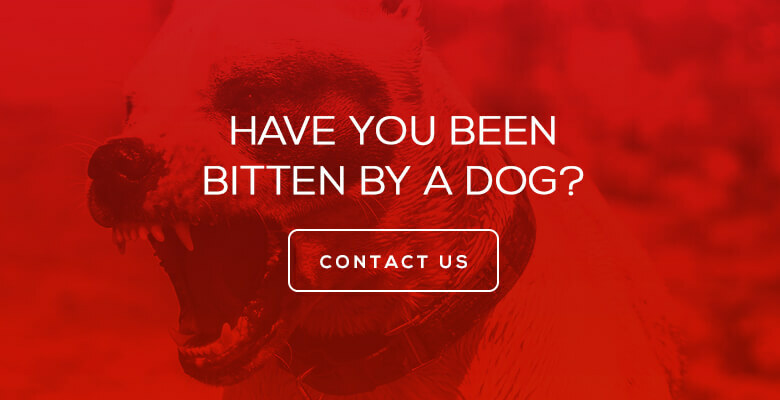 Contact Rosenbaum & Associates today to schedule a free consultation about your dog bite injury claim in Philadelphia. Once we assess the details of your situation, we can let you know your chances of success with a personal injury claim and how our firm can help.